First time for our kids to touch the Pacific! One of the amazing sequoias – this wasn’t even one of the big ones that got a name!! Well, we are home, and what a wild trip that was! So, so happy we went, and so, so glad to sit still for a bit. 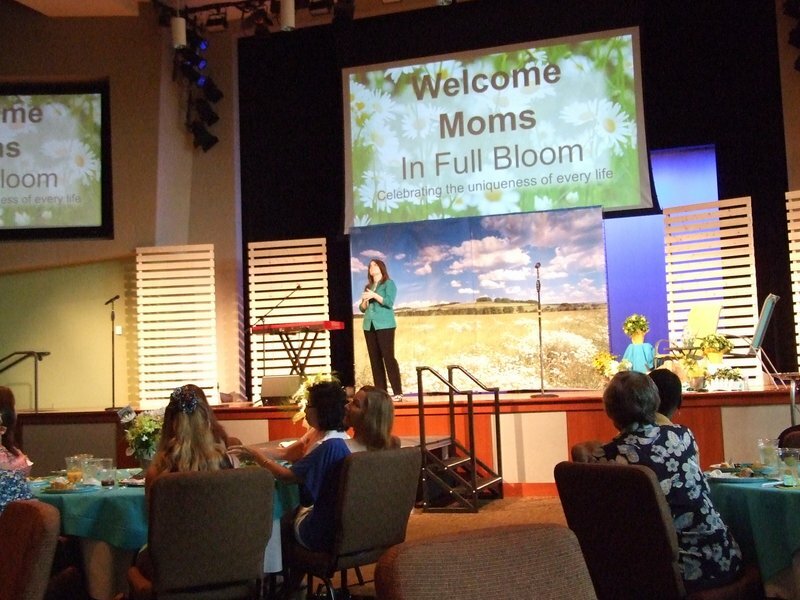 After the Joni and Friends Family Retreat in Murrietta, CA, we drove up to Fullerton near Los Angeles and I did a mom’s brunch at First Evangelical Free Church for mom’s of special needs children. Connie Hutchinson, the director of special needs ministry at the church, had read my book about a year ago and contacted me to see if we’d ever be out that way to do a ministry event with her moms. God is so good, and we had just been booked for the Joni and Friends Retreat when Connie called and they are only an hour apart – God is always working things together! They do an amazing ministry there to the disabled, and we had over 100 moms attend. It was a wonderful time, and included a performance by a group of disabled adults at the church which was so special! I loved getting to spend time with Connie and her husband and daughter, and I sure hope we get to see them next time we’re in California! After the brunch we went out to the beach. 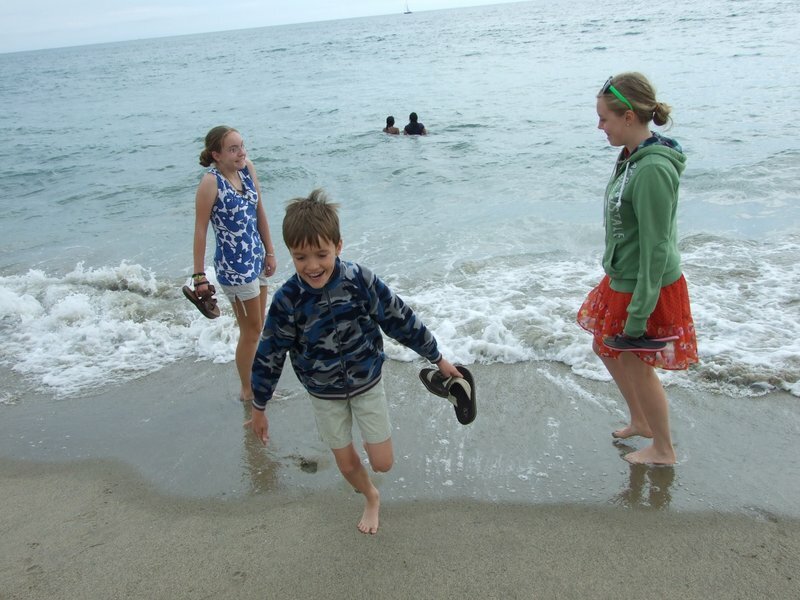 Even though it was too cold to want to swim, our kids had never touched the Pacific Ocean so we needed to check that off! I told them they are the only American kids I know who touched the Indian Ocean before they got to the Pacific! 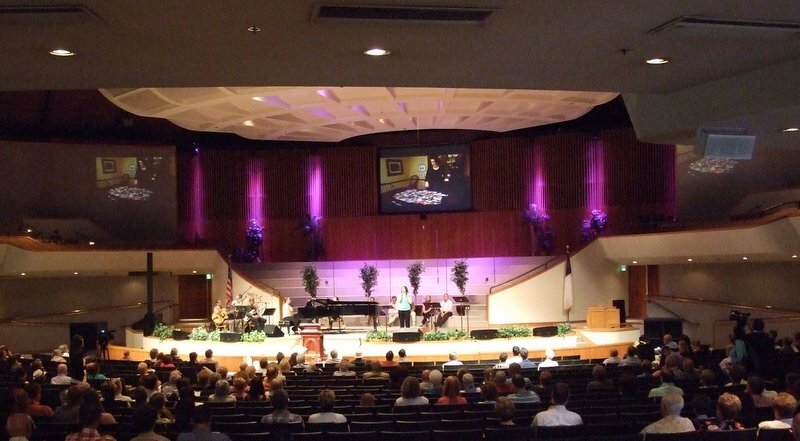 Then we drove up to Pasadena to get ready for the worship services the next day. On Sunday I got to be at the First Church of the Nazarene of Pasadena, affectionately called PazNaz by the congregation. 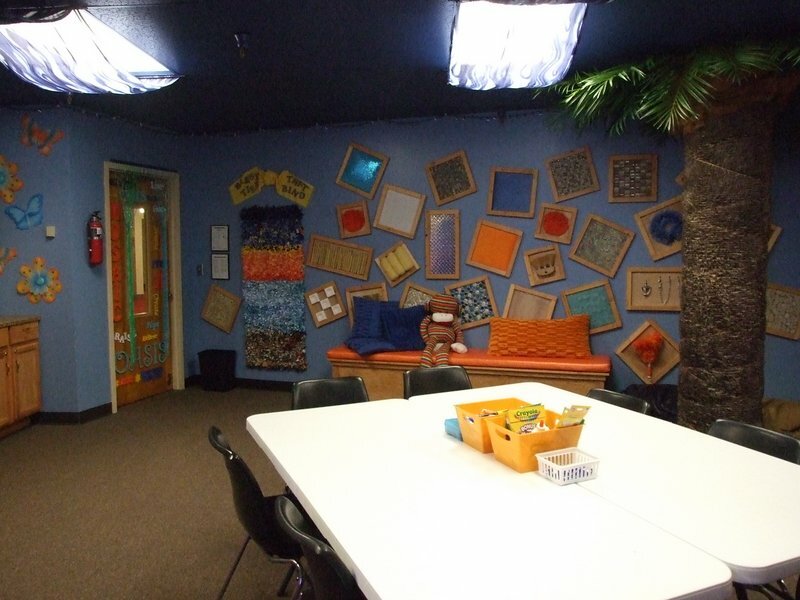 They’ve also got a spectacular special needs ministry headed by Julie Keith, but what made them really special to us was that a number of the families at the church, Julie’s included, had been at the Joni and Friends Retreat with us the week before. This was wonderful for us because there were several families we’d had a hard time saying goodbye to, and we got to see them again that morning! I sang on all the morning services and Julie gave us a tour of some of their incredible kids wing and special needs programs, and then we got to go out to lunch with several of the families from Retreat. What a blessing! It made it harder to say goodbye, but we were so grateful for the time! After that we drove south again to Disneyland. Come one, you knew I couldn’t bring my family our for their first visit to Southern California and miss that, didn’t you? We have visited Disney World in Florida a number of times over the years – we love it and we have family down there – but I had to show them the California version. We had a great time, and if you’re ever there, do not miss the new Radiator Springs Racers – what a cute ride!! After two lovely days there we headed up north. We visited a friend we’d met while in the Dominican Republic for lunch and it was so good to catch up with her and her family! Afterward we had the amazing privilege to visit the national headquarters for Joni and Friends in Augora Hills, CA. 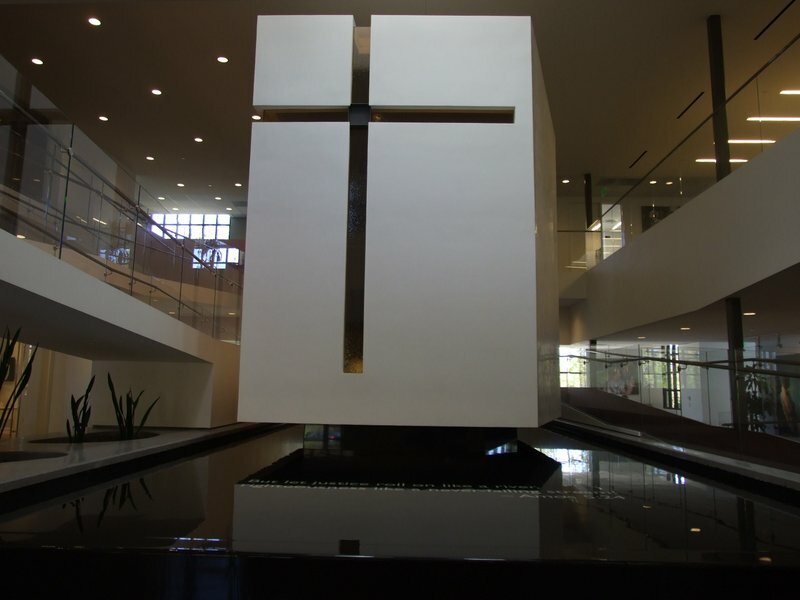 They gave us a tour and while we were there I was invited to sing in the famous “floating chapel” that is the heart of the building. The acoustics are absolutely stunning in there, and apparently if you sing in there the whole building hears it. What a privilege! Joni is a childhood hero of mine, and she sings there almost every day – what a fun moment for me. 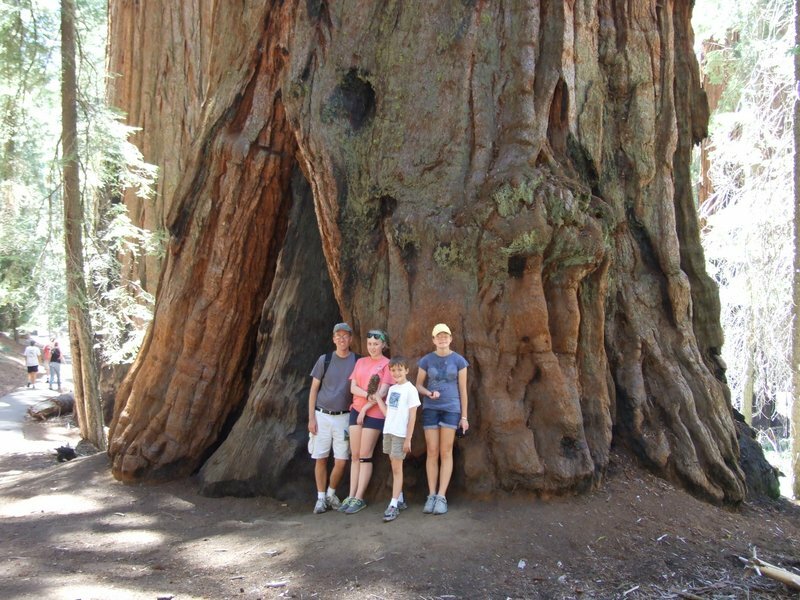 The last stop of our Western adventure was Sequoia National Park. We got in late that night and collapsed. The next morning we got in and within 15 minutes we saw our first black bear! We were hoping to see one, although I was hoping to be in my car, and this one was right behind us, but we couldn’t believe it! We did a lot of hiking and were just again overwhelmed by God’s creation! By the end of the day we had seen 3 different groups of bears for a total of 6, and if I didn’t have the pictures, I wouldn’t believe it either. 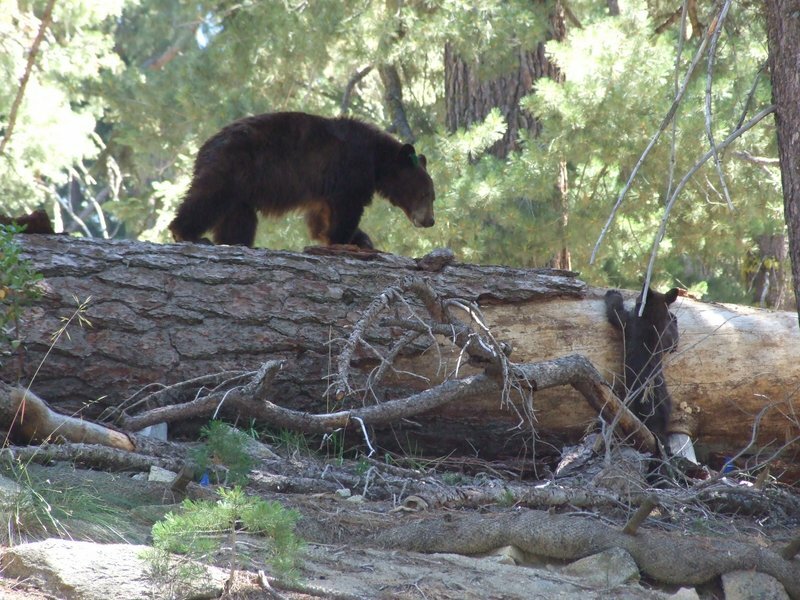 We had several park service people tell us that was unheard of, and one couple we met who’d been hiking there for 2 weeks each summer for the past 28 years said 6 bears in a day was their record! 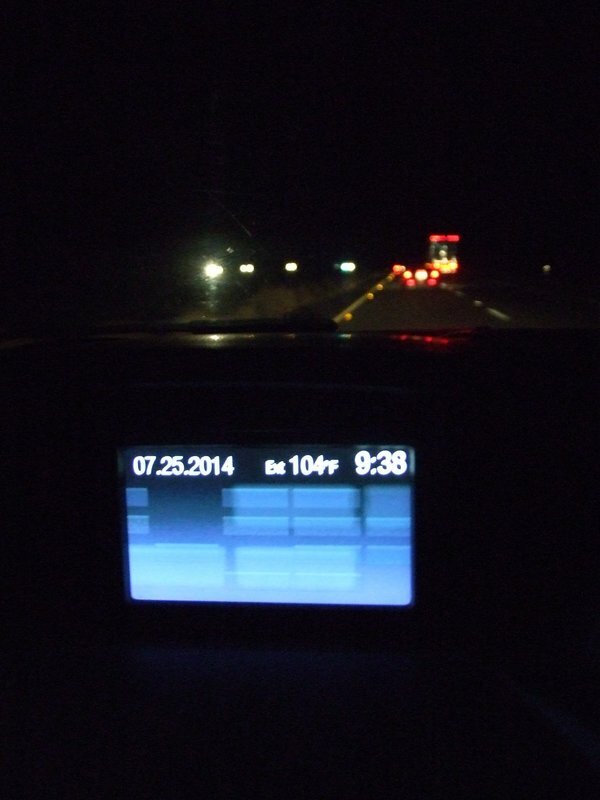 Driving back to Vegas through the Mojave Desert was crazy – 104 degrees at night in the dark. And we drove the kids through the lights when we got there and took a little time to explore the more kid friendly aspects in the morning before our flight. I have to say, though, after all the splendor of God’s creation we’d seen that week, Vegas didn’t have much to offer, and we were all happy that we’d spent our time elsewhere. It’s good to be home, and I’m also sad it’s over. So many wonderful people, so much fun ministry, so many unbelievable sights from God alone, and such great memories for our family! This entry was posted on Sunday, July 27th, 2014 at 9:18 pm	and is filed under News. You can follow any responses to this entry through the RSS 2.0 feed. You can leave a response, or trackback from your own site.